Fifteen-year-old Indigo Hamlisch is an art prodigy looking forward to her last summer at the Silver Springs Academy for Fine and Performing Arts for Girls. But her BFF Lucy Serrano is a C.I.T. this year, and that means she doesn't have to hang out with Indigo and the other campers anymore: she can mingle with the counselors -- including Indigo's scandalous and unrequited crush, paint-splattered art instructor Nick Estep. But it's not like anything is going to happen between Lucy and Nick... right? As Indy becomes more and more paranoid about what's going on between her best friend and her favorite counselor, Indy's life -- and her work -- spin hilariously out of control. Funny and bold, Art Girls Are Easy is a comedy of errors filtered through the wry, satirical eyes of a girl who's been there, done that, and is just looking for a little inspiration. Fifteen-year-old Indigo Hamlisch is an art prodigy looking forward to her last summer at the Silver Springs Academy for Fine and Performing Arts for Girls. But her BFF Lucy Serrano is a C.I.T. this year, and that means she doesn't have to hang out with Indigo and the other campers anymore: she can mingle with the counselors -- including Indigo's scandalous and unrequited crush, paint-splattered art instructor Nick Estep. But it's not like anything is going to happen between Lucy and Nick... right? As Indy becomes more and more paranoid about what's going on between her best friend and her favorite counselor, Indy's life -- and her work -- spin hilariously out of control. 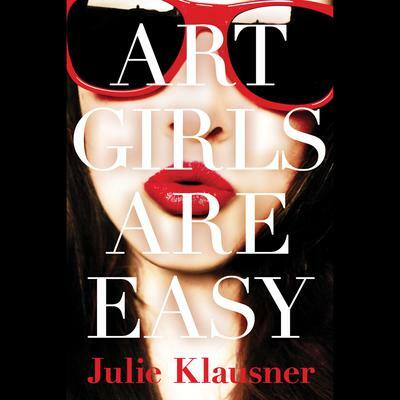 Funny and bold, Art Girls Are Easy is a comedy of errors filtered through the wry, satirical eyes of a girl who's been there, done that, and is just looking for a little inspiration.